Brent crude jumped for the sixth day, trading as high as $75.47 before later falling back under the $75 mark. The US will decide by 12 May whether to abandon a nuclear deal with Iran and re-impose sanctions. Oil prices have been rising since the 14 nations in Opec, as well as other producers including Russia, decided to restrict output last year. In November they agreed to extend those cuts until the end of 2018. 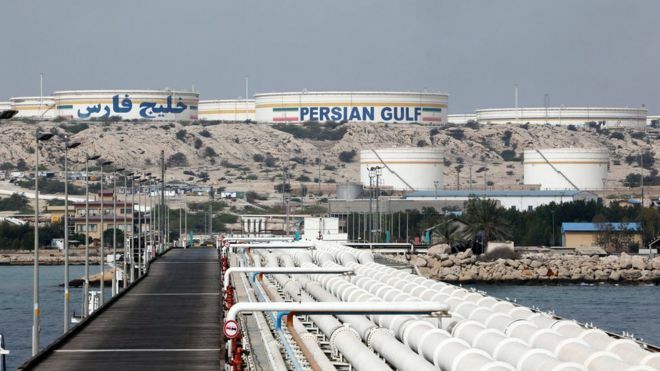 Tamas Varga of oil broker PVM said the prospect of President Trump pulling the US out of the nuclear accord that Iran signed with world powers in 2015 was the most significant element of Brent’s recent rally. The US president has said that unless European allies fix what he has called “terrible flaws” in the accord by 12 May, he will restore US economic sanctions on Iran. The other nations that signed the deal – the UK, France, Germany, Russia and China – all want to keep in place the agreement, which has halted Iran’s nuclear programme in return for most international sanctions being lifted. Restoring US economic sanctions on Iran would be a severe blow to the pact. Stephen Innes of futures brokerage OANDA said new sanctions against Tehran could push oil prices up by as much as $5 a barrel. The Opec production curbs have reduced stockpiles, but those cuts have been partially offset by a surge in US oil output. 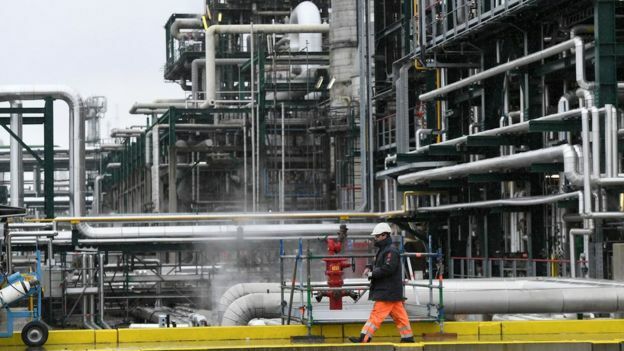 Meanwhile, demand in Asia – the region that consumes the most oil, has hit a record high, prompting the opening of new refineries in China and Vietnam. 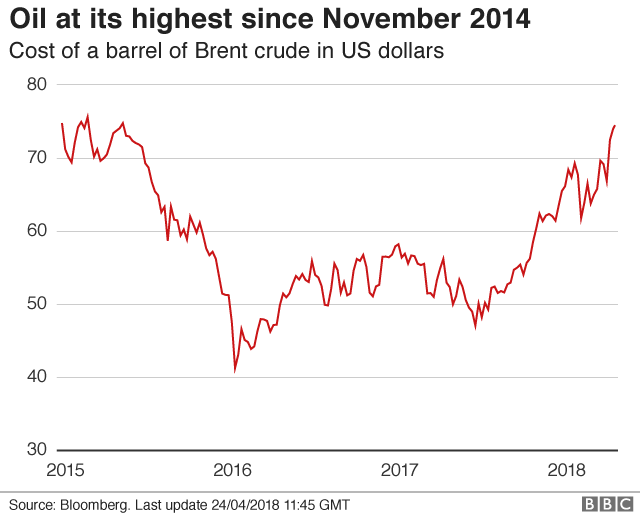 Brent was trading at $74.66 at 1800 BST, while US crude was at $68.55 after earlier hitting $69.15 – its highest level since 28 November 2014.